Light non-aqueous phase liquid (LNAPL) has high toxicity and exists in a large number of petroleum-contaminated sites, while the heterogeneity of natural media and changes in hydrodynamic conditions make the migration of LNAPL more complex in the subsurface. Especially during the implementation of groundwater pumping, treatment and recharging remediation project, due to the heterogeneity of aquifer media, it may cause pollutants in groundwater to accumulate in porous media due to changes in groundwater flow, velocity, groundwater level, etc. The place with a large amount of aggregates can form a free phase LNAPL; After the “pumping, treatment and recharging” of groundwater is stopped, pollutants in the porous media are released into the groundwater, and when the free phase LNAPL disappears, the concentration of pollutants in the groundwater “rebounds”. Understanding the seepage, retention and distribution of LNAPL in heterogeneous porous media is the precondition for effective removal of LNAPL pollution in underground water - containing media. This paper analyzes the characteristics of precipitation, migration and occurrence of free phase LNAPL in groundwater are analyzed by pumping test, recharge test and pull-recharge test. 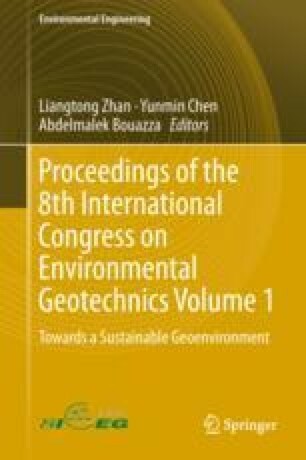 Finally, it determines the formation mechanism of free phase LNAPLs and the mechanism of migration and transformation from the distribution rule of pollutants, roof elevation change of saturated layer, the difference of adsorption ability of different lithology to pollutants, the variation of groundwater flow field under the condition of hydraulic disturbance and hydraulic disturbance, etc., which is of great practical significance to study the risk control and restoration of petroleum contaminated sites, especially the contaminated aquifers.